On 3–4 September, the Red Bull Air Race will make a highly anticipated return to the EuroSpeedway Lausitz in Germany. 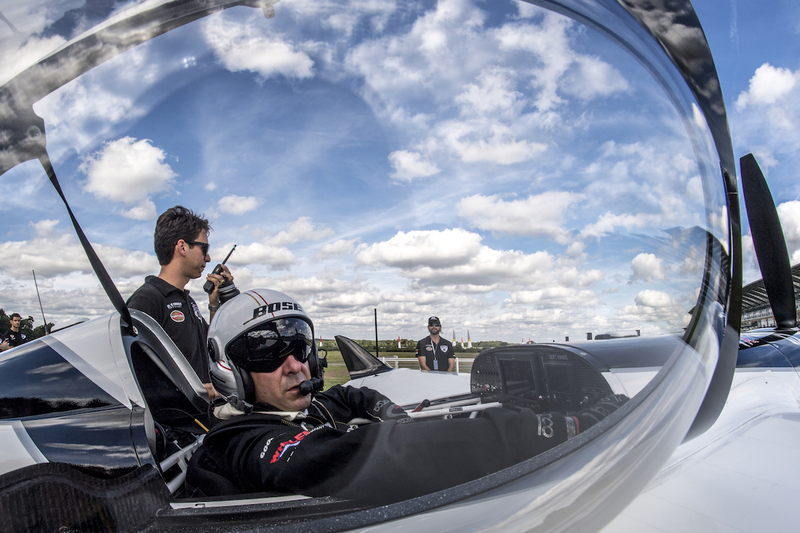 The stop at the oval formerly known as the Lausitzring will be the last chance for American pilots Kirby Chambliss and Michael Goulian to prepare for the highlight of their season: two home stops in the USA. Team Goulian flies into the EuroSpeedway Lausitz fresh off their best result of the season so far, an appearance in the Final 4 at the mid-August stop in Ascot, UK. Despite delivering top-notch times in Free Practice and Qualifying across the season, things hadn’t always gelled on Race Day, and Goulian’s consistent performances round after round for that fourth-place finish in Ascot was exactly the boost the team needed. Now they think they can do even more, as technician Warren Cilliers is hard at work with an engine tune-up to address some horsepower loss that he and the team diagnosed at Ascot. Meanwhile, Goulian has stayed G fit by participating in an air show at his hometown of Plymouth, Massachusetts, and he has also been hitting the road with extensive outdoor training on a bicycle. Coming into the famed motorsport oval of the EuroSpeedway Lausitz, Arizona-based Team Chambliss is hot on the hunt for the world championship podium. With only three races to go – two of which will be in home skies at Indianapolis and Las Vegas – they’re in fourth place overall, less than seven points behind Australia’s Matt Hall in third. A sharp competitor who has won two titles since he started his Red Bull Air Race career in 2003, Chambliss knows how to handle late-season pressure. Rather than getting rattled by a ninth-place finish at August’s stop in Ascot, he and the team set to work analyzing why their raceplane was underperforming and found the answer: the fuel mixture was too “lean,” costing them time. Now that they know what to remedy, they’re raring to go for Lausitz. Feel the speed! The action kicks off (redbullairrace.com/live) at the EuroSpeedway Lausitz with Qualifying on Saturday, 3 September, followed by Race Day on Sunday, 4 September 2016.